This page was created at the request of students who wanted an easy reference guide for the movements and Chinese phrases used during classes. The Chinese phrase will be listed first in pinyin (the Westernized version of the Chinese language), followed by a pronunciation guide in parenthesis and then the English translation. The translations provided are the closest meaning of the phrase used in class. Practice saying the words as you learn the movements. 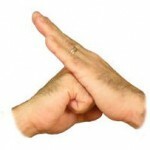 Of course, feel free to ask for help so your pronunciation gets as good as your movements. Visit this page often as we will continue to add more information to help guide your practice. Feel free to let us know of anything else we should add. 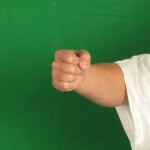 both teacher and students will form a fist/quan in their right hand and an open palm/zhang in their left hand. Bring the two hands together to salute. As shown on right. 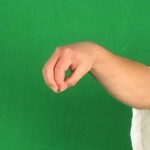 Before the end of class; the same saluting posture is used. 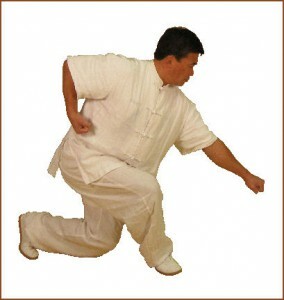 [learn_more caption=”Tai Chi/Kungfu Stances”] The five fundamental Wushu stances including the Ready stance are what we go over during our intermediate/advanced Tai Chi classes. 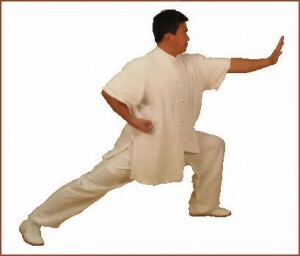 These Wushu/Kung Fu stances are more external movements that are designed to develop your overall strength, balance, and flexibility. 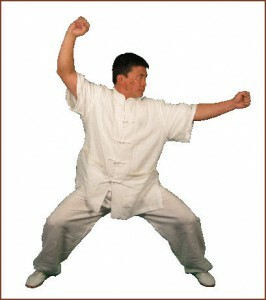 Gong-Ma-Pu-Xu-Xie is an easy way to remember the names of the stances. 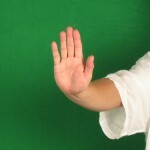 [learn_more caption=”Hand movements”] Three important hand positions in tai chi. [learn_more caption=”Body Centers”]Important body points and centers that we go over in class and a few new ones. 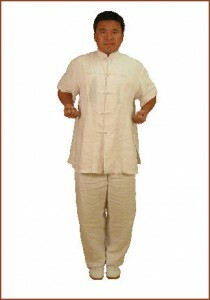 Doing the Zhan Zhuang stance is a very important foundation in doing qigong and tai chi. The stance looks simple, but it takes time, patience and practice to get it right. Some students either really like it or they don’t. 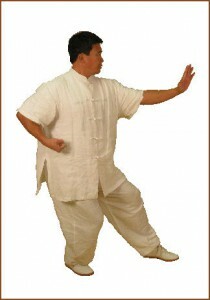 It takes a good teacher to show you how to connect and align the body properly when doing Zhan Zhuang. 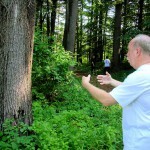 When everything is aligned correctly, it is like opening the energy system of the body. The energy just flows. For new students, five minutes of Zhan Zhaung seems like an eternity. But as you gradually become more accustomed to the position, the aches and pains, being uncomfortable, and the legs shaking will disappear and are replaced by a sense of strength and calmness in the joints. In the beginning, the mind will also play games by telling you how bored you are, and you would be better off doing anything else. It’s hard to calm the mind in this position, but eventually, it will settle down and you begin to observe the changes in the body as well as the feeling of rest that moves through the body. 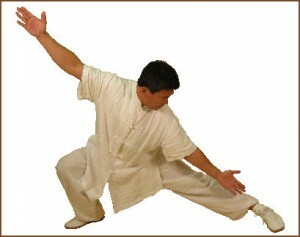 Doing Zhan Zhuang will bring an increase in energy to the body. With practice, it will bring a sensation of warmth, comfort, tingling, expansion, fullness, calm, strength, stability, groundedness, confidence, alertness, and a feeling of immense physical power, to name a few. We barely touched what Zhan Zhuang is all about. 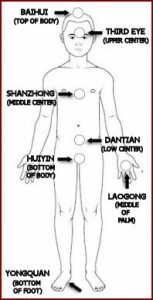 Master Xing is always recommending a book called the ‘The Way of Energy’ by Lam Kam Chuen as a must read and it explains Zhan Zhuang clearly and in detail with good diagrams. 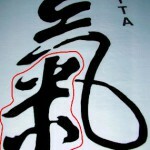 [learn_more caption=”Qi or Chi (Chee) => Life Energy”] Ever wonder what the Chinese character is on the back of our YYTA t-shirt? It’s the “Qi” or “Chi” character and is usually pronounced as “chee”. 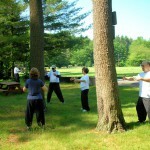 Qi is translated as “vital breath,” or “life energy”. 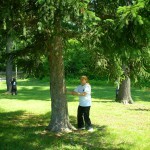 Life Energy is usually associated with air and breathing which is the number one requirement for human life. The character for the word Qi shows us the air we need to breathe. There are two components to the character; the lower part in the red box and the upper portion. The character in the red box represents grains cooking, and the character in black represents steam, i.e. visible air rising from the cooking pot. When you think about it, this character shows us all the things we need to take in for survival: air (as the rising steam), water (there must be water in the pot to cook the grain, otherwise there would be no steam), and food (the grain itself).